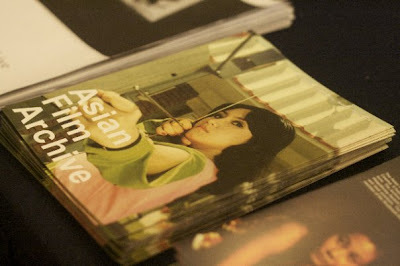 The Asian Film Archive held a gathering session where filmmakers and people who want to get to know filmmakers can get together. The shot above is a cosmically nice shot because everything falls into place. You got Tee Pao, the AFA newbie capturing the event on camera, you've got Bee Thiam, the originator right in the middle. You got Jason Lai, an seasoned figure finishing off a conversation and you've got Ken Ochiai, an Asian film enthusiast (researcher?) in the background in observation. Cleopatra Wong on the souvenir booklet. 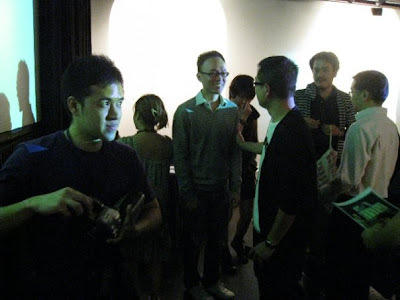 Ken Ochiai looking at the AFA DVDs. The very important people at AFA who will keep your film for the next generation. 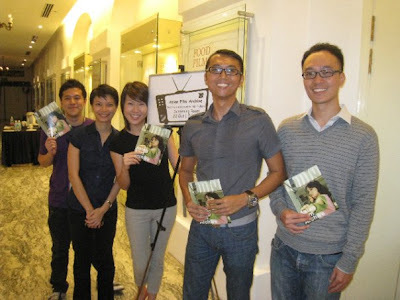 Check out more on the event at the Asian Film Archive Blog. The above pictures were taken by fellow filmmaker Looi Wan Ping.